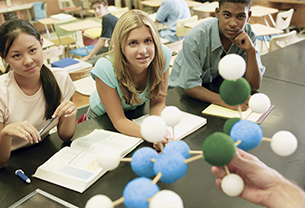 Practical skills are integral to science and vital for science employers. At a time when science and the practice of science are becoming increasingly important across all sectors of the UK economy and society it is imperative that the importance of practical skills is reflected in our science qualifications. So it is with dismay that Ofqual have ignored the advice of the science community and announced that they will take forward reforms which degrade the place of practical skills in science A levels. Assessment strongly influences teaching, as such, the separation of practical marks in science from the overall A level grade will inevitably lead to a lesser focus on practical work. It is deeply disappointing that science A levels will no longer reflect this. One might akin a science qualification that doesn’t evidence practical skills to passing a driving test without being assessed behind the wheel. Employers of scientists will also be very concerned if young people are no longer given adequate opportunity to experience hands on science before they make choices about pursuing a future in science. It is already a concern that many schools and colleges are placing insufficient focus on practical work; removing practical assessment from the final grade will encourage this. The value of practical work lies not only in the specific skills developed, but can enhance engagement in science and be a motivating and effective style of teaching and learning. The Science Council has supported the work of SCORE and others on this, and hopes that steps will be taken to protect the place of practical skills in science A levels despite the decision taken by Ofqual.